I have been lurking on listverse for a while now and I thought it was about time I contributed something, so here is my first list. 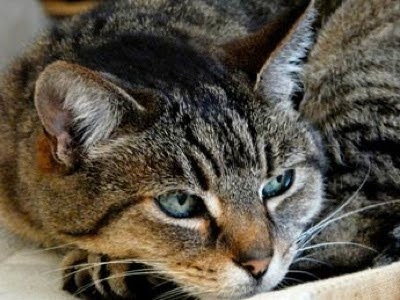 This list looks at 10 incidents in which animals have saved human lives. In all but one case the animals were protecting humans from other animal dangers. Feel free to mention any cases you know in the comments. flames; she quickly grabbed the cat and rushed back inside to wake up her husband and their five children. The fire destroyed the garage and a bedroom. None of the family was harmed thanks to the cat’s cries. As an interesting side note, none of the family had been too fond of the cat before this incident; however Jesse Busscher claimed “We love it now. This thing is getting some tuna tonight!” This is not as uncommon as might be expected – pictured above is another cat (Baby) who also saved her family from a house fire. Davide Ceci was 14 years old and couldn’t swim when he fell out of his Fathers boat in south-east Italy; he was within minutes of death when dolphin Filippo came to his rescue. Filippo had been a popular tourist attraction off Manfredonia in south-east Italy for two years. While Emanuele Ceci was still unaware his son had fallen into the waves, Filippo was pushing him up out of the water to safety. The dolphin bore down on the boat and got close enough for Davide’s father to grab him. Davide’s mother Signora Ceci said: “It is a hero, it seems impossible an animal could have done something like that, to feel the instinct to save a human life.” Filippo has lived in the waters off Manfredonia since he became separated from a visiting school of dolphins. Maritime researcher Dr Giovanna Barbieri said: “Filippo seems not to have the slightest fear of humans. 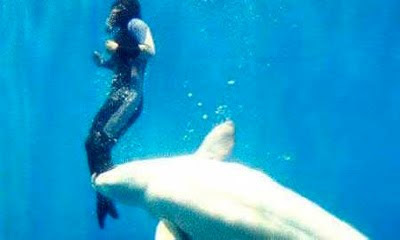 I’m not surprised he should have done such a wonderful thing as to save a human.” Pictured above is a beluga whale saving a drowning diver. Brenda Owen had gone out for a quick walk with her dog when she spotted a wheelchair on the riverbank; she saw a woman floating in the river. She called out to her but there was no reply so she told her dog, Penny, to “Fetch! Fetch!” without hesitation the dog ran into the river, swam to the woman and pulled her to the shore. Brenda said that Penny has always been a very obedient dog and despite being 10 years old she was still very fit. 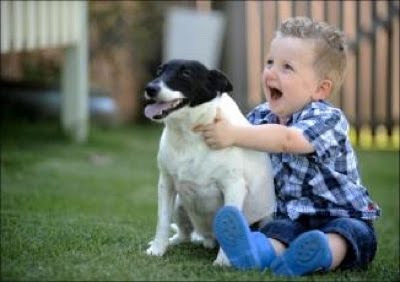 In Texas, way back in 1982, a 2 year old child had been walking with his grandmother when Arf, the family dog, became very agitated; the dog became so agitated that the grandmother thought it best to take the child inside. Mrs. Sparks, the child’s mother, came out to find Arf in a fight with a 24 inch north-american coral snake, she shot the snake but arf had a lot of bites and scratches and had to be admitted into a veterinary hospital for 24 days. Although the newspaper that I got this from didn’t say whether he survived or not, it said he was making a strong recovery. 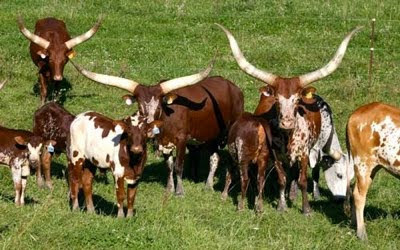 Janice Wolf was in the back pasture of the refuge she operates in Arkansas when her 11 month old Watusu Calf suddenly turned and blocked her path, she couldn’t understand why it was doing this, so she took hold of its horns and tried pushing it, but it tossed its head and knocked her off balance, that’s when she spotted a copper-head snake on the ground exactly were her foot would have been had the Watusi calf not intervened. She said Copper-head venom usually isn’t fatal to adults; however it could well have been fatal to her because she had been extra sensitive to insect bites in the past and had just come out of hospital for a lung operation. On one hot August day, Todd Endris, 24 year old owner of Monterey Aquarium services decided to go surfing with some friends. While surfing, a 15 foot shark appeared. The shark tried to bite him but could not get its jaws around both the surfer and the surf board, it came around for a second try where it got Todd clamped between his surf board and its jaws, because his stomach was against the surf board Todd’s internal organs were not harmed, however he lost a lot of skin from his back, the shark let go and came at Todd for a third time and tried to swallow his right leg, however this gave the surfer the grip he needed to start kicking the shark in the snout until it let go, at this point when Todd was running out of energy and thought he was done for, a pod of dolphins came out and formed a protective ring around him, keeping the shark at bay long enough for Todd to catch a wave back to shore and receive emergency first aid from his friend. In 2008 a woman and her young son had been walking home from a playground; as they entered a parking lot a man holding a knife approached them and told them not to make any movements. 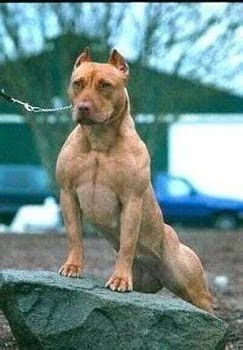 A large pit bull ran out of nowhere and charged the man, who quickly fled. An animal control authority said they had no idea what the mans intentions were but it was very possible that the dog saved Angela’s and her sons life. What’s extraordinary about this case is that every other item on this list the animal is either doing what they are trained to do or the person(s) was in clear danger from other animals. This is the only case I found in my research where the danger was another human. On August 16 1996 in the Brookfield Zoo, a 3 year old boy fell into a Gorilla enclosure and lost consciousness. 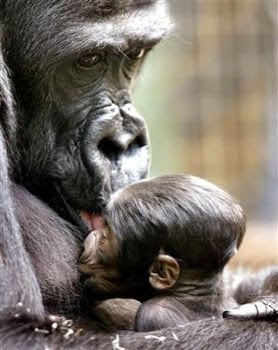 Binti Jua a female Lowland Gorilla, guarded the young boy from the other Gorillas in the enclosure, she then cradled him in her arm (while her own 17 month old baby was on her back) and carried him 60 feet to an entrance where zoo-keepers could retrieve him. This isn’t an isolated case, on August 31 1986 at Jersey Zoo a 5 year old boy fell into a Gorilla enclosure and lost consciousness, a large male Gorilla named Jambo stood guard over the boy not allowing any of the others to come near, when the boy woke up and started crying all of the Gorillas backed off and zoo-keepers (along with an ambulance) were able to retrieve him safely. 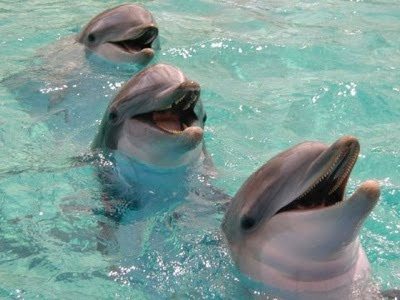 The dolphins kept this up for 40 minutes until the shark lost interest, and the group could swim the 100m back to shore. 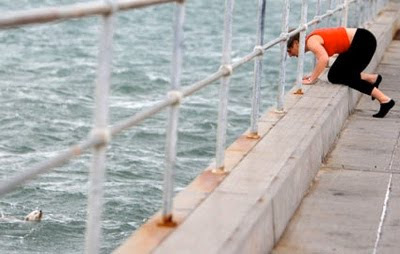 Another lifeguard, Matt Fleet, on patrol in a lifeboat, saw the dolphins circling the swimmers and slapping their tails on the water to keep them in place. He told the Northern Advocate newspaper that he also had a clear sighting of the shark. 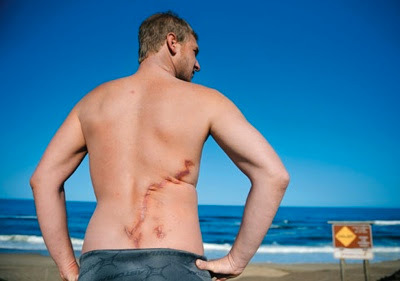 “Some of the people later on the beach tried to tell me it was just another dolphin; but I knew what I saw,” he said. Ingrid Visser, of Orca Research, an environmental group, said the dolphins’ behavior was understandable, as they attack sharks to protect themselves and their young, similar incidents had been reported round the world. “They could have sensed the danger to the swimmers, and taken action to protect them,” she said. 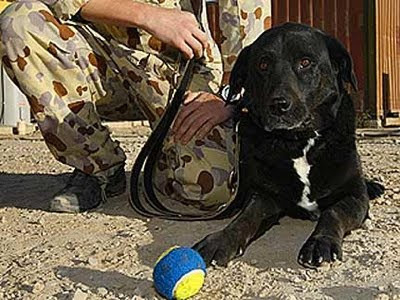 I want this item to represent all animals used for warfare and by the authorities, but rather than try to sum up all the brave military animals I will concentrate on one case: Treo, the bomb sniffing search dog. In the UK Treo ha recently been on the news for winning the Dickin Medal award, which is the animal equivalent of the Victoria Cross (which is the British equivalent of the Medal of Honor). A total of 26 other dogs, 32 World War Two messenger pigeons, three horses and one cat have won the award, introduced by PDSA founder Maria Dickin in 1943.